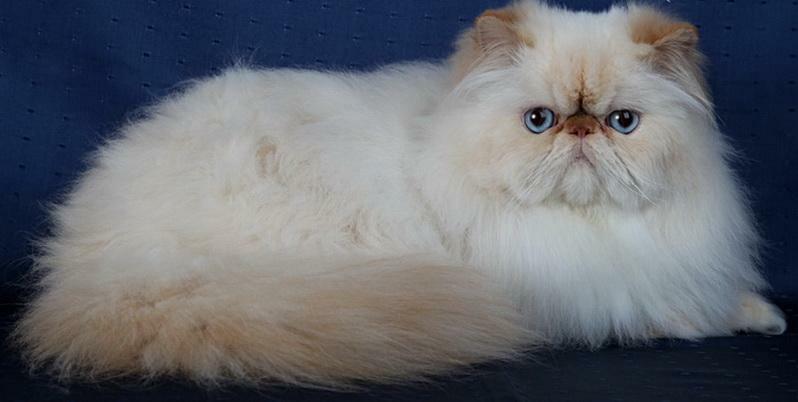 " I have studied many philosophers and many cats. 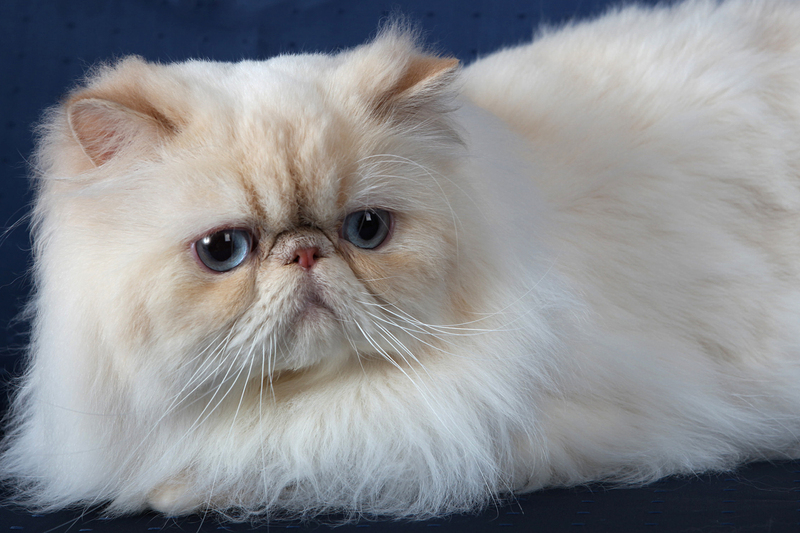 The wisdom of cats is infinitely superior." NEWS FROM K-CATS SHOW 2016. 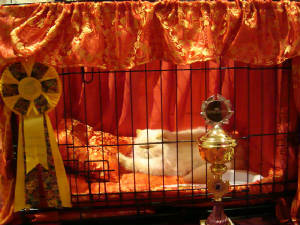 CONGRATULATIONS TO ARABIAN TAIL TEDDI and I-SA-Bella both one show grand champions at 8 months of age. CONGRATULATIONS TO ARABIAN TAIL BOBBY BLU-SOX our first exotic GC and CONGRATULATIONS TO ARABIAN TAIL MY CHERIE AMOUR a new Grand Premier. GC DW ARABIAN TAIL PIXIE -DUST. GC ARABIAN TAIL BOBBY BLU-SOX. GP DW ARABIAN TAIL OSCAR. GP ARABIAN TAIL DISCO QUEEN. GP ARABIAN TAIL CHINA DOLL. GP ARABIAN TAIL SIR OLIVER THOMAS. GP ARABIAN TAIL MY CHERIE AMOUR. 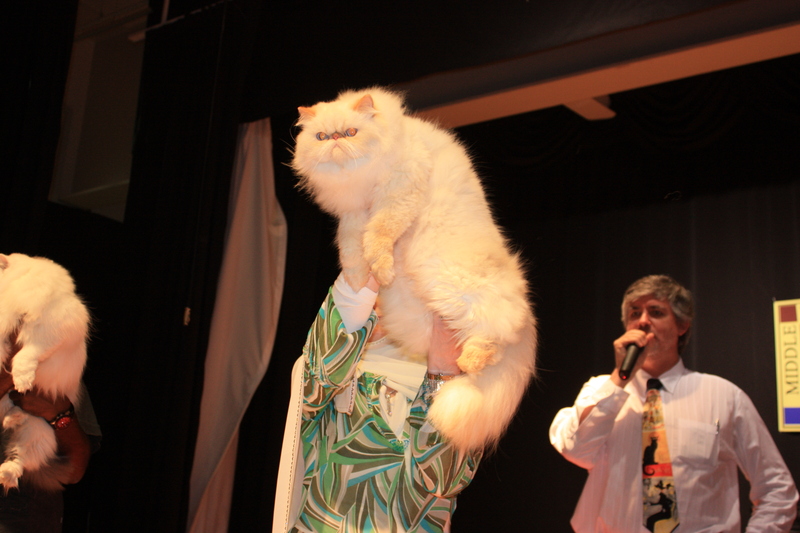 Show News from K-Cats show 6/7 Feb 2015. Congratulations to Arabian Tail China Doll a new Grand Premier. Huge congrats to Arabian Tail Topaz owned by Crystal who is now a GC/GP and new Grand Premier Arabian Tail Sir Oliver Thomas, owned by Cathy. we are very proud of our babies. 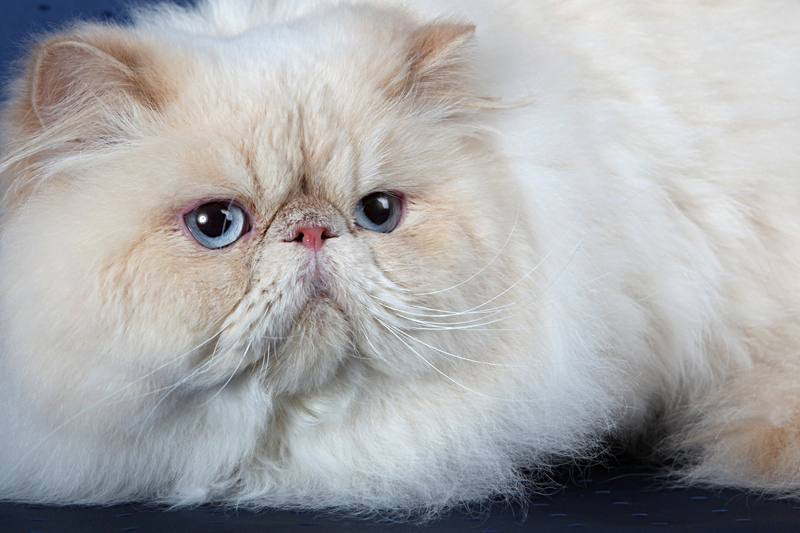 THE LATEST UPDATE FROM K-CATS 2ND CFA SHOW. 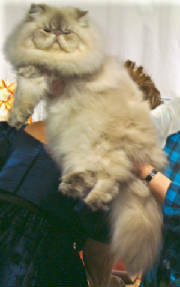 DEVANCHIRES KISS ME KATE WINS OVERALL BEST CAT IN SHOW WITH AN AMAZING 5 X 1ST PLACE 2 X 2ND PLACE AND 1 X 3RD PLACE. 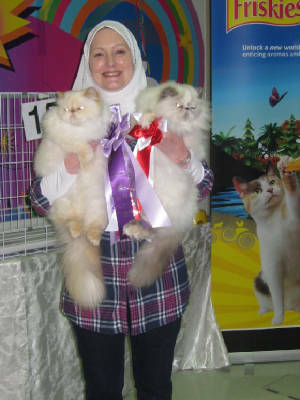 ARABIAN TAIL'S DISCO QUEEN BECOMES BEST PREMIER CAT IN SHOW WITH 6 X 1ST PLACE AND 2 X 2ND PLACE. 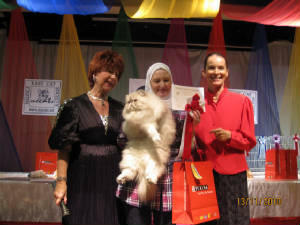 ARABIAN TAIL MA CHERIE AMOR TAKES 2ND OVERALL BEST KITTEN IN SHOW. 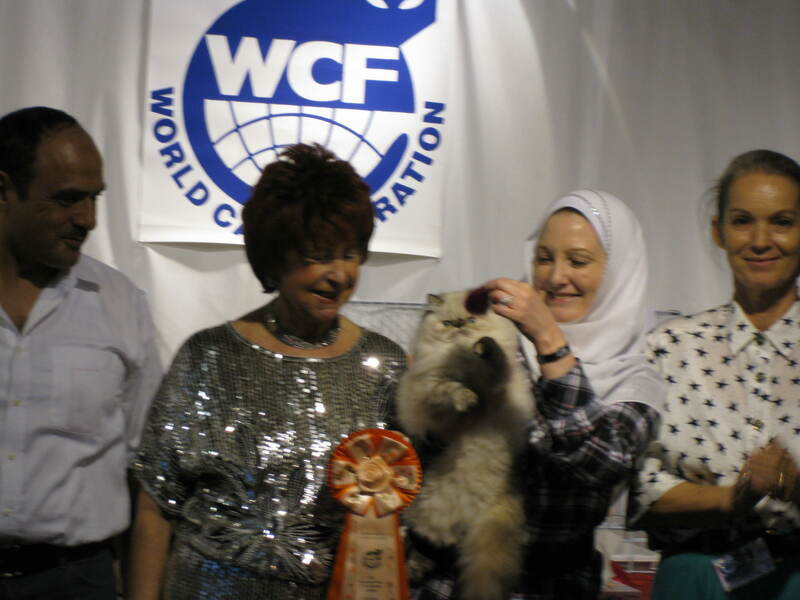 WE HAVE THE FIRST HOME BRED GRAND CHAMPION CATS IN KUWAIT ..GRAND CHAMPION ARABIAN TAIL PIXIE-DUST, GRAND CHAMPION ARABIAN TAIL HONEYBUN, GRAND PREMIER ARABIAN TAIL DISCO QUEEN AND GRAND PREMIER ARABIAN TAIL OSCAR. 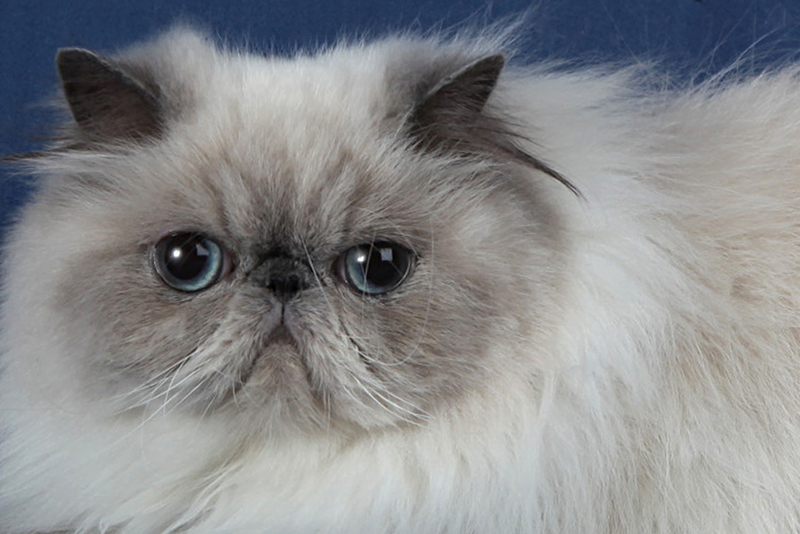 MANY THANKS TO ALL THE JUDGES WHO LIKED OUR CATS SO MUCH. 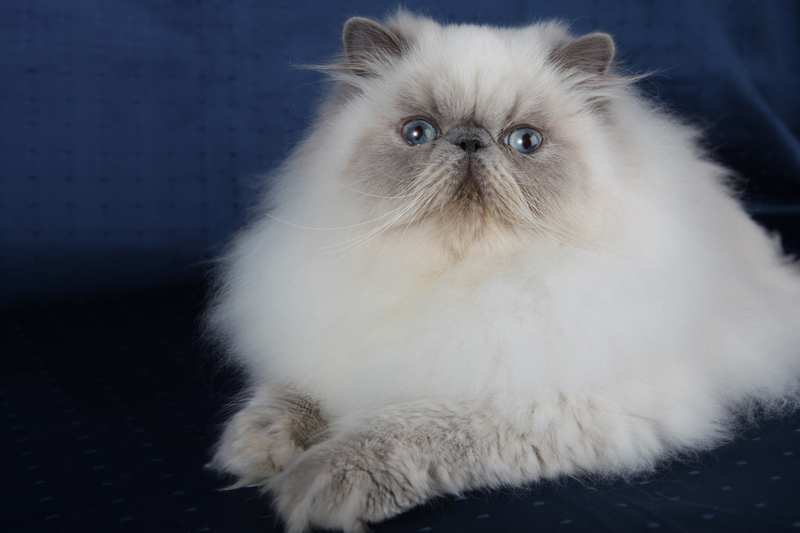 We have a new CFA Grand Champion, Devanchires Kiss Me Kate and the follwing cats are all now champions. CFA CH Arabian Tail Baron Bruno. CFA CH Arabian Tail Oliver. 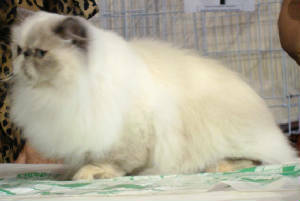 CFA CH Arabian Tail Pixie-Dust. 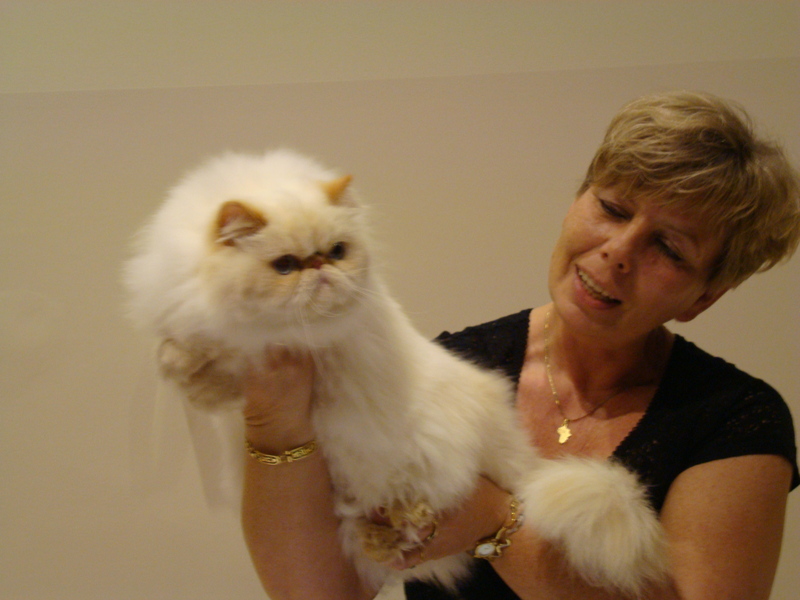 CFA CH Persian House Amber -Rose. CFA PR Arabian Tail Oscar. 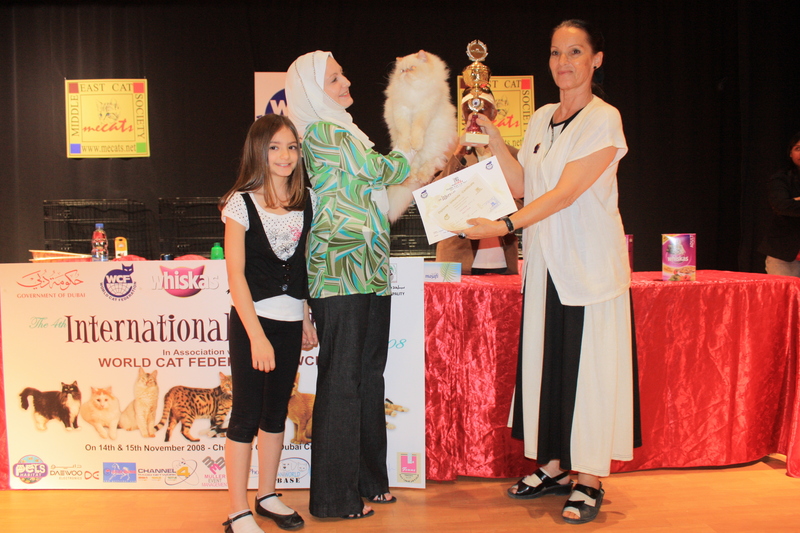 We also got 3 Best in Show kitten awards between Arabian Tail Disco Queen and Arabian Tail Honey Bun.. WE ARE SO VERY PROUD OF ALL OUR CATS, ESPECIALLY THOSE BRED AND BORN HERE IN KUWAIT. MANY THANKS TO ALL THE JUDGES WHO LIKED THEM SO MUCH. Kate becomes a Grand Champion. New Champion. Arabian Tail Oliver. New Champion Arabian Tail's Jack of Hearts. New Champion Arabian Tail Pixie-Dust. New CFA CH Arabian Tail Starbucks Cappuchino. 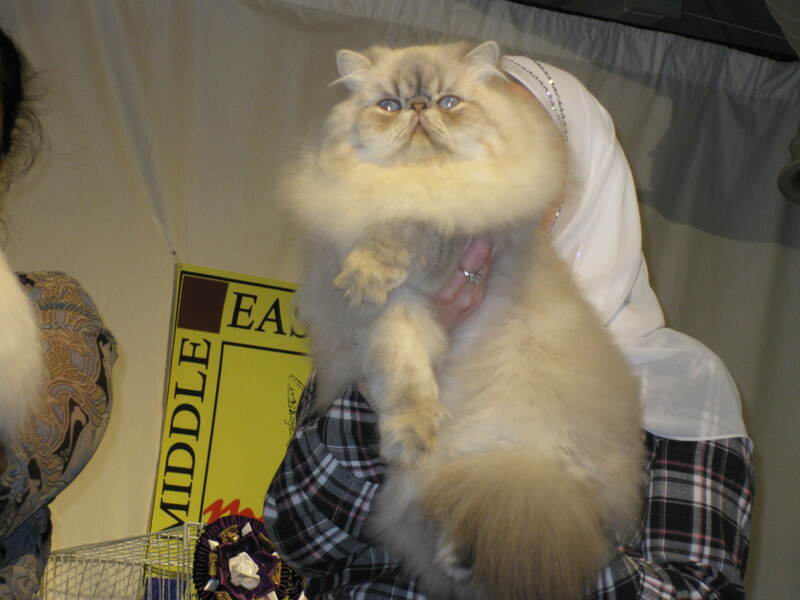 Arabian Tail Honeybun Best kitten in Show winner. 1st and 2nd place in the ring judging. Blu Diamond 2nd Best Male In Show. Blu Diamond WCF show 2010. Blu Diamond. Best Male In Show. 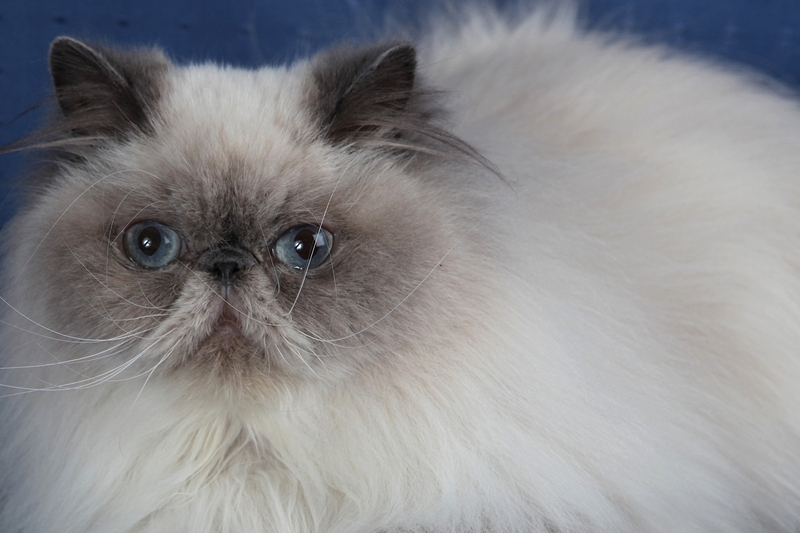 Pandora, Best Kitten In Show. 3 to 6 months. Arabian Tails Pandora. 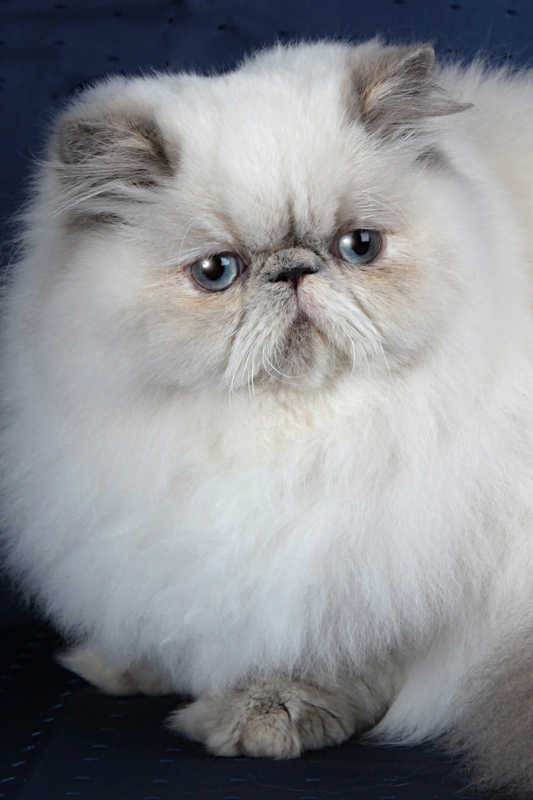 Best female Kitten In Show. 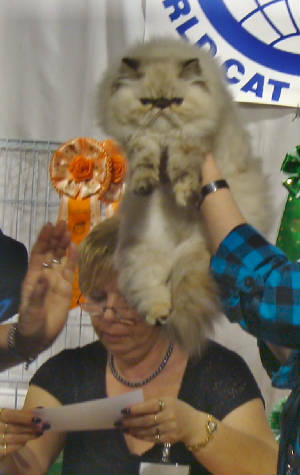 Results for both show days..
Best Male Cat in Show, Tigeria's Blu Diamond Of Arabian Tail. 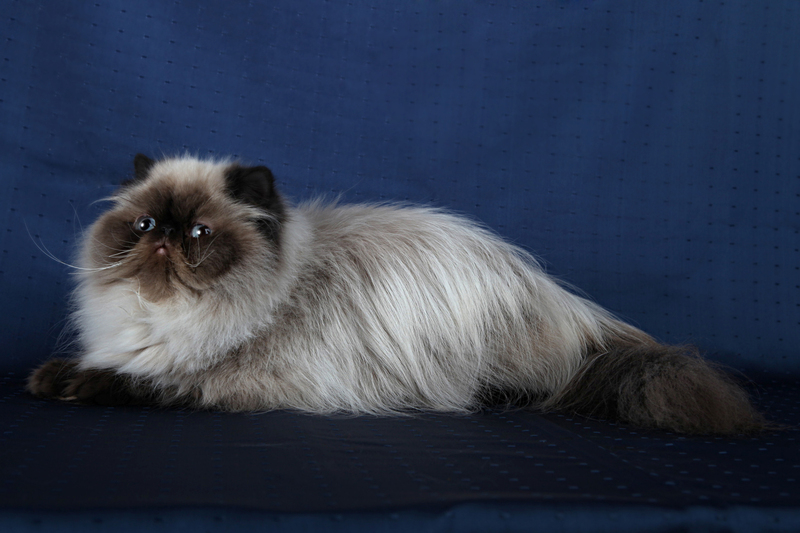 Best kitten in show (3 to 6 months), Arabian Tail's Pandora. 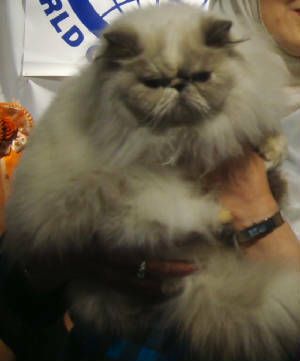 2nd in Ring and Runner up for Best LH Cat in Show, Persian House Hollie of Arabian Tail. 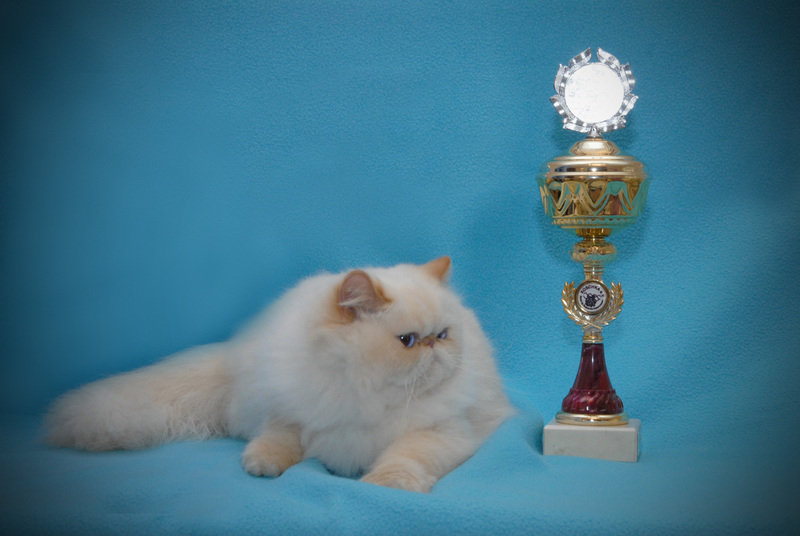 Persian House Amber Rose becomes a Champion and receives CACIB. Congratulations to Amber-Rose . 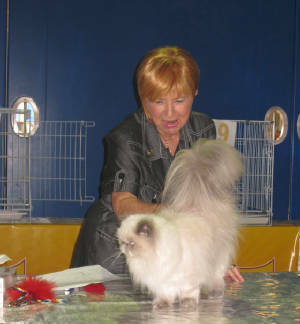 CAC, Ist Place in Ring, BEST OF THE BEST, BEST IN SHOW. 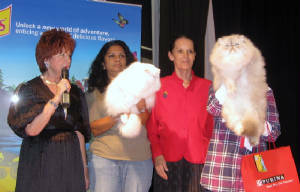 AT THE WCF DUBAI CAT SHOW, 14th/15th November 2008. This was Amber-Rose's first show . The trophy comes to Kuwait for the first time. We are so proud of our darling Rosie. Amber-Rose with WCF judge Cornelia Hungerecker. My Mommy is so proud of me..
She made me have my photo taken again !